With the evolution of digital printing technologies and the growing prominence of mobile devices, Rochester Institute of Technology’s School of Print Media is leveraging its rich heritage in an effort to move forward into the digital age of media. The School of Print Media is undergoing a transformation by redefining its curriculum to offer a more expansive, industry-relevant foundation, as well as re-establishing its alignment with professional partners. As part of the transformation, School of Print Media will be adding a variety of small format screen, litho and flexo presses in the next year to accommodate the changing landscape of print media and help the curriculum stay current by providing the immersive style of instruction that is an educational hallmark at RIT. Additionally, RIT’s Goss Sunday 2000 web printing press will be removed once Goss International, the manufacturer that had consigned the press to RIT in 2002, secures a buyer for the press. This will enable expansion of RIT’s footprint in the digital printing space to accommodate the accelerating industry shift from lithography to digital printing. RIT’s Printing Applications Laboratory and Imaging Products Lab will continue to offer sustainable, innovative technology on a global scale, which will increasingly be provided across a broader range of the media creation, development, application and production. 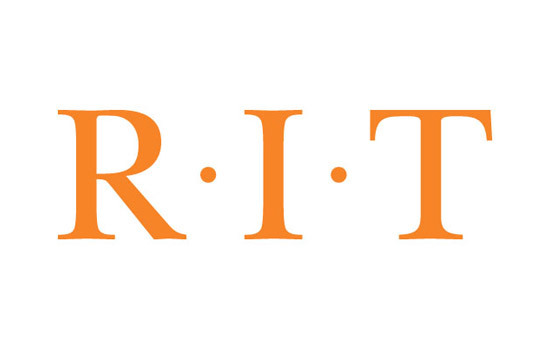 As part of the school’s evolution, it is revamping the Printing Industry Center to create a Cross-Media Innovation Center that aims at providing a more extensive platform for collaboration between RIT and industry partners. “We are committed to a more immersive-style of teaching, which will include more hands-on lab time across all courses,” Bondy says. The Cross-Media Innovation Center will be sponsoring a Cross-Media Innovation Summit scheduled for Oct. 18–19 during Brick City Homecoming week in Rochester.